Induspray is a professional painting contractor company handling large industrial and commercial painting projects. We’re experienced with all types of industrial painting, commercial painting and metal refinishing work. Our specialty is painting large ceilings in factories, warehouses, and manufacturing facilities. Induspray services most states and industrial centers across the USA. Our core territory covers all of the Midwest and Northeast including Ohio, Michigan, Indiana, New York State, and Pennsylvania. We’ve been painting facilities since 1975 and apply millions of square feet of paint each year, making us a high-volume, low-cost leader in the industry. 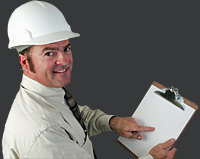 Our goal is to provide the best value painting services to cost-conscious building and facility owners and managers. We’re continually developing new processes and testing new products to server you better and more efficiently. 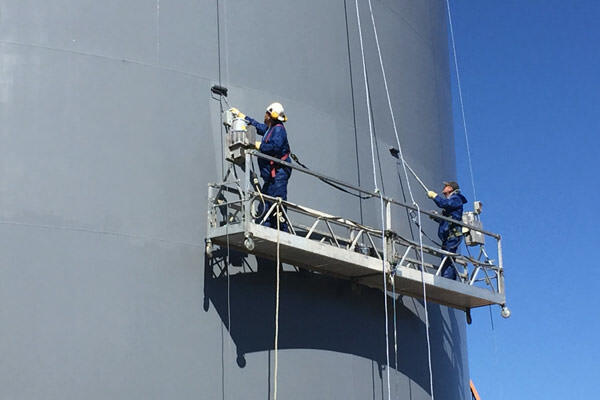 The hardworking Induspray team is comprised of experienced and highly skilled professional industrial painters, commercial painters, and project managers. Included are specialists familiar with highly technical painting materials and techniques applicable to both industrial painting and commercial painting. We also accommodate clients in areas not listed above, including: Alabama AL, Alaska AK, Arizona AZ, Arkansas AR, California CA, Colorado CO, Delaware DE, District of Columbia DC, Florida FL, Georgia GA, Hawaii HI, Idaho ID, Kansas KS, Louisiana LA, Maine ME, Maryland MD, Minnesota MN, Mississippi MS, Missouri MO, Montana MT, Nebraska NE, Nevada NV, New Hampshire NH, New Jersey NJ, New Mexico NM, North Carolina NC, North Dakota ND, Oklahoma OK, Oregon OR, Rhode Island RI, South Carolina SC, South Dakota SD, Tennessee TN, Texas TX, Utah UT, Vermont VT, Virginia VA, Washington WA and Wyoming WY. For information on our painting services in Canada, click here. To discuss your painting project and receive a free price estimate, contact us today. In the painting business for over 4 decades, Induspray has established a large and growing base of over 1,800 satisfied clients including facility managers, building owners and managers, property managers, real estate developers and agents, builders, general contractors and others. We were recommended to many by our existing customers, providing a strong endorsement of the perceived high value and quality of our services. Our low rates and pricing provide exceptional value. We strive to protect each client’s interests by choosing the optimal refinishing system for a given surface, taking into account budgetary constraints, environmental exposure, and desired life expectancy. By utilizing the latest time-saving equipment and skilled staff, combined with our high-volume purchasing power, Induspray can offer the most competitive prices in the industry. To receive a free, no-obligation cost estimate for your painting project, simply request a painting price quotation today. A client’s complete satisfaction is always our primary goal. Our painting projects are completed using careful surface preparation, state-of-the-art equipment and application techniques, plus the latest and highest quality paint and materials. Our work is guaranteed, and we are fully bonded and insured. Have questions or concerns about your project? Please contact us today to get valuable expert advice from top industrial/commercial painters. We’ve earned a reputation of following through on our promises — our projects are completed on time and to budget. We use the most environmentally-friendly techniques and materials whenever possible, without compromising the quality and longevity of our finished projects. Our work is conducted by professionals in a safe and conscientious manner, and for your peace of mind and protection, Induspray is insured. For information about employment, careers and business partnerships with Induspray, please click here. We’d be happy to provide references upon request. Induspray is an industrial painting company that is routinely recommended by leading paint, coating, and equipment suppliers as a preferred contractor. Please contact us to describe your specific painting project, and we will provide appropriate references.